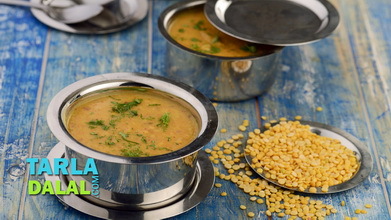 Lightly spiced with green chillies and coriander, this unusual mix of urad dal and spinach carries a healthy dose of b-complex vitamins. 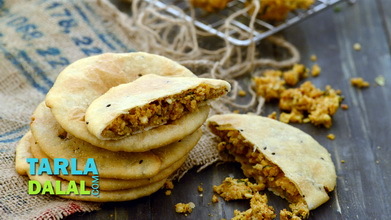 For a truly fulfilling experience, eat with hot parathas. 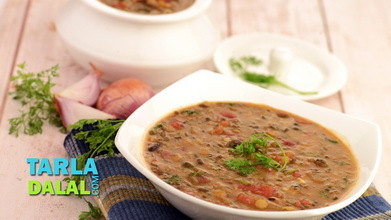 Combine the urad dal with approx. 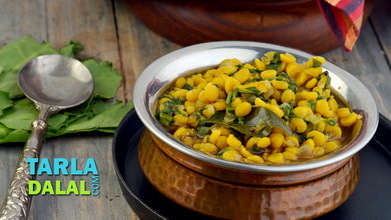 1 cup of water, salt and turmeric powder in a deep non-stick kadhai, mix well and cook on a medium flame for 10 to 12 minutes, till the dal is cooked and soft. Keep aside. Heat the oil in a broad non-stick pan, add the caraway seeds and sauté on a medium flame for a few seconds. 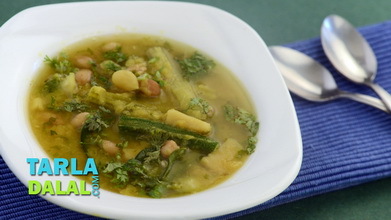 Add the tomatoes, green chillies, chilli powder, mix well and cook on a medium flame for 2 to 3 minutes, while stirring occasionally. 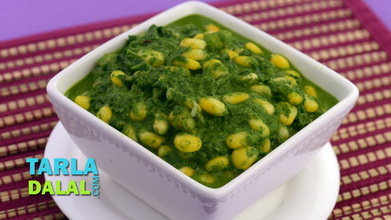 Add the spinach, 1 tbsp of water, mix well and cook on a medium flame for 1 minute , while stirring occasionally. 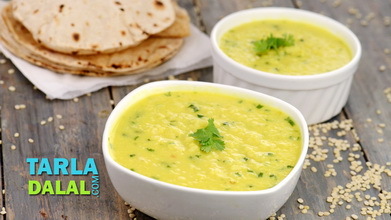 Add the cooked urad dal and lemon juice, mix well and cook on a medium flame for 1 minute, while stirring occasionally.